Each year the Chancellor of the State University of New York recognizes exceptional students from all sixty five SUNY colleges and universities. The following RCC students are the 2013 recipients of the Chancellor’s Award for Student Excellence. 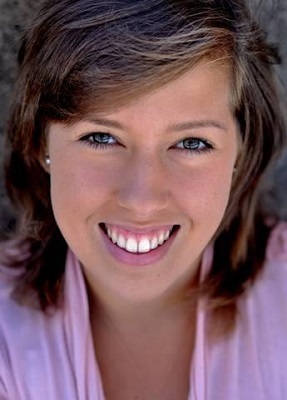 Melissa Dimataris of Congers graduated Tappan Zee High School in 2009. Dreaming of Broadway, she enrolled in the Performing Arts program. 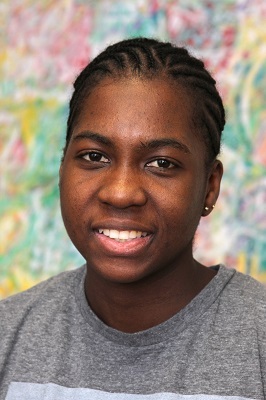 In Spring ’10, she was diagnosed with acute lymphoblastic leukemia. “I had to stop going to work and school, and avoid crowds.” She went into remission within the first two months, but continued the grueling treatment for over two years. She found new hope when she was invited to sing the national anthem at Madison Square Garden in 2011 before a New York Rangers hockey game. “I was no longer performing for my own pleasure, but I wanted to inspire others not to give up on their dream. Navid Safaie of Suffern, AS Liberal Arts and Sciences: Mathematics and Science, was pleased to discover that his academic apathy in high school dissipated at RCC. “By enrolling in the M/TS Honors Program and dropping in to a Student Government Association meeting, I found myself absolutely inspired.” Now SGA President and vice president of Leadership for honor society Phi Theta Kappa, he credits his professors for helping him recognize his love of mathematics and science. He received the Helen Siner Memorial Award for Excellence in Mathematics from the NYS Mathematics Association of Two-Year Colleges. Kechan St. Clair of Brooklyn, an international student from St. Lucia, is earning an AS degree in Computer Information Systems. Growing up with no father and very little money, her options were limited. Her uncle, who recognized her potential, offered to fund her education in the US. After her first semester, however, he died of cancer. A government minister, impressed by her 4.0 GPA, offered some limited help, which she supplements by working at the Tutoring Center as a computer lab proctor. She is a peer mentor, vice president of the Women in Computing Club, and teaches children computer skills at the Unity East Church Center in Brooklyn. 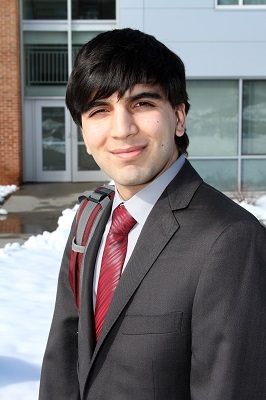 Mohammad Zaid of Spring Valley, an international student from Yemen, is an M/TS Honors student earning an AS in Liberal Arts and Sciences: Mathematics and Science. He was chosen among thousands of applicants to exhibit his solar panel purification project at the Clinton Global Initiative University (Spring 2011). His varied work and volunteer experiences range from supervising crews in Yemen inserting underwater cameras into wells and distributing food to his country’s poor, to delivering bread for Rockland Bakery. An athlete, he was awarded Academic All Region Award while playing on RCC’s soccer team. He is Phi Theta Kappa vice president of Fellowship and Sophomore Senator of Student Government Association. 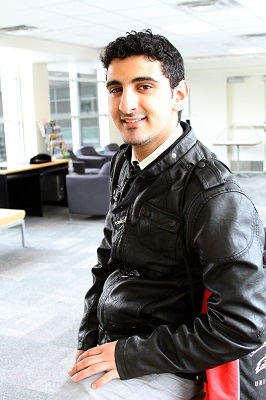 His older brother, Marwan Zaid ‘12, won the Chancellor’s Award last year. Jordan Zuber-Banks of Pomona, AA Liberal Arts and Sciences: Humanities and Social Science, enrolled as an Early Admit Student in the M/TS Honors Program. An aspiring lawyer, Zuber-Banks founded the Young Scholars Honors Group, which inspires middle school students to make presentations, read books and seek challenging academic initiatives. He is president of the RCC Debate Team, the Pre-Law and Political Science Association and vice president of Scholarship for Phi Theta Kappa. 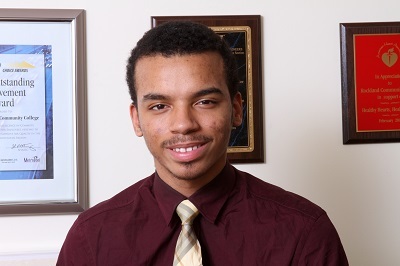 His internships include public relations for Senator David Carlucci.